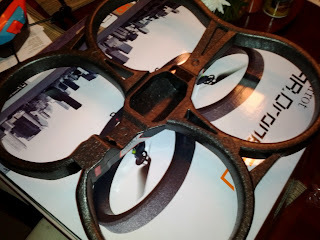 I received my AR.Drone 2.0 the other day and had a chance to play around with it a bit. 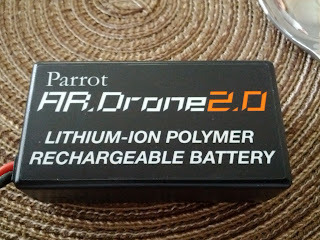 The biggest problem I see with the device is the horrible battery life and they have not released AR.Free Flight 2.0 for Android devices yet. 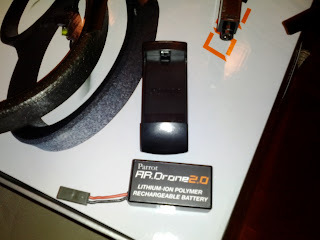 AR.Free Flight 1.9 does work fine with the AR.Drone 2.0 but there is no video support and FF 1.9 doesn't support the 2.0 feature of using the "Absolute Control" mode. If you use the accelerometer with 1.9 you must keep the camera pointing forward to have the drone respond intuitively. For now I'm just using it in 2 stick mode. 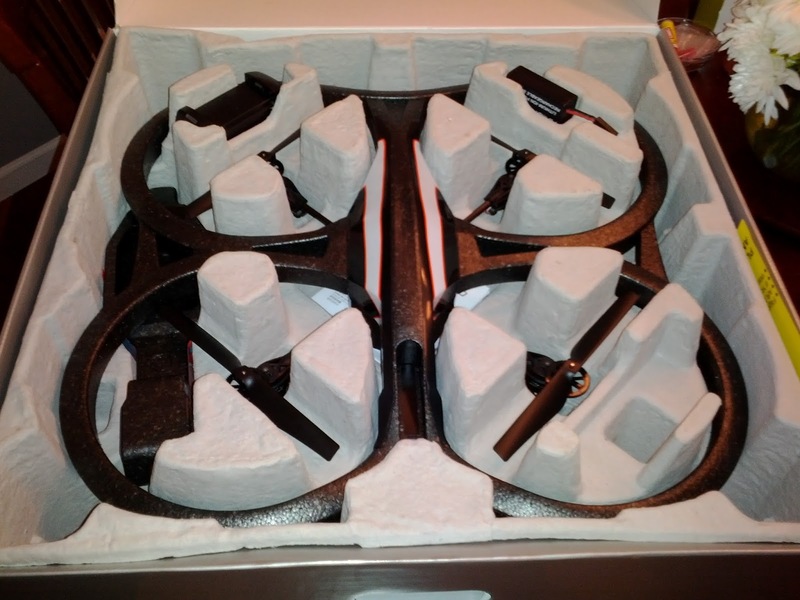 Here are some pictures of the un-boxing. 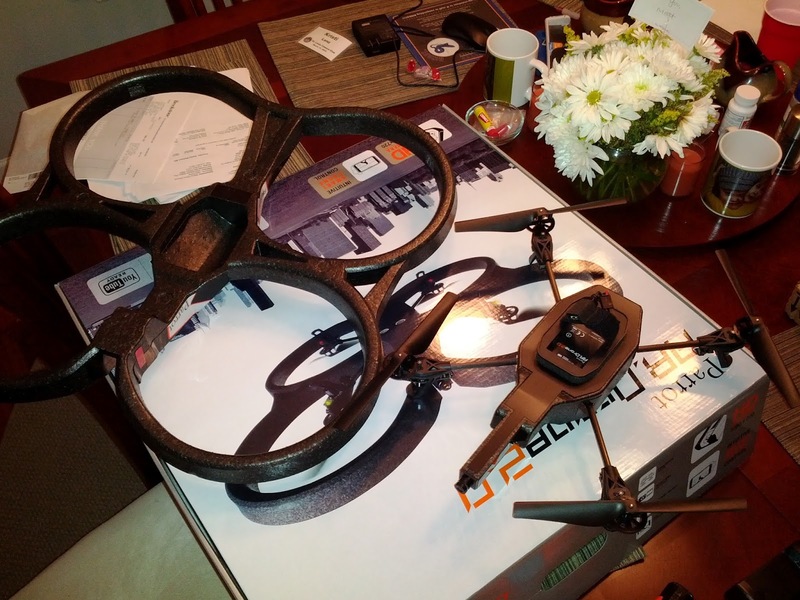 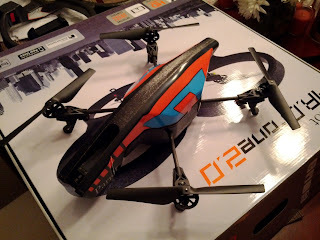 Added another short video of flying the AR.Drone 2.0 with AR. 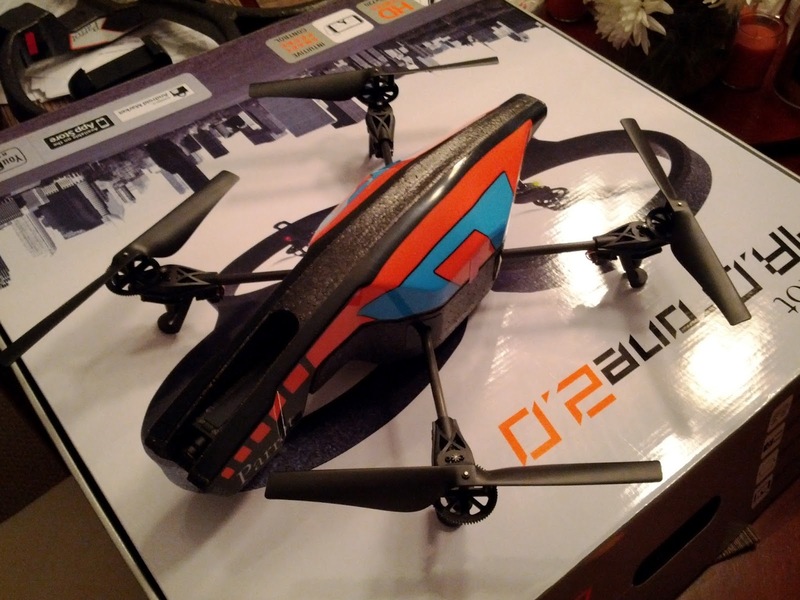 Free Flight 2.0 on a borrowed iPhone. I used Absolute Control which is awesome. 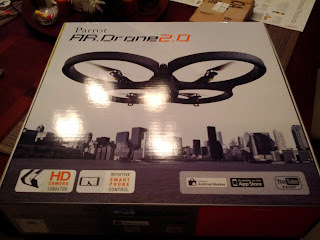 Great you already got it. 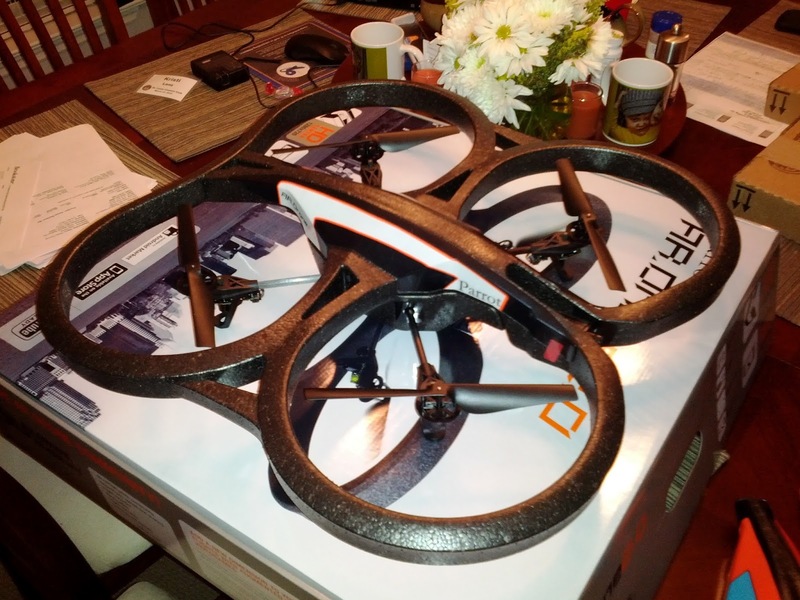 I am waiting mine(I preordered last week). 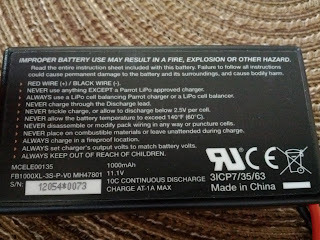 Could you please publish more tech specific battery details?. 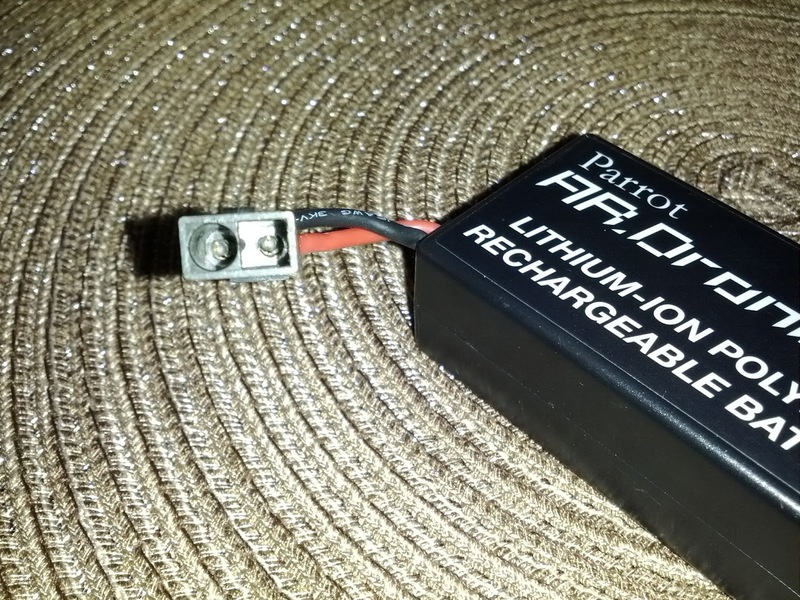 The parrot page said that chargers(ar.drone 1 vs ar.drone 2) are not compatibles and I would like to know why they are not. 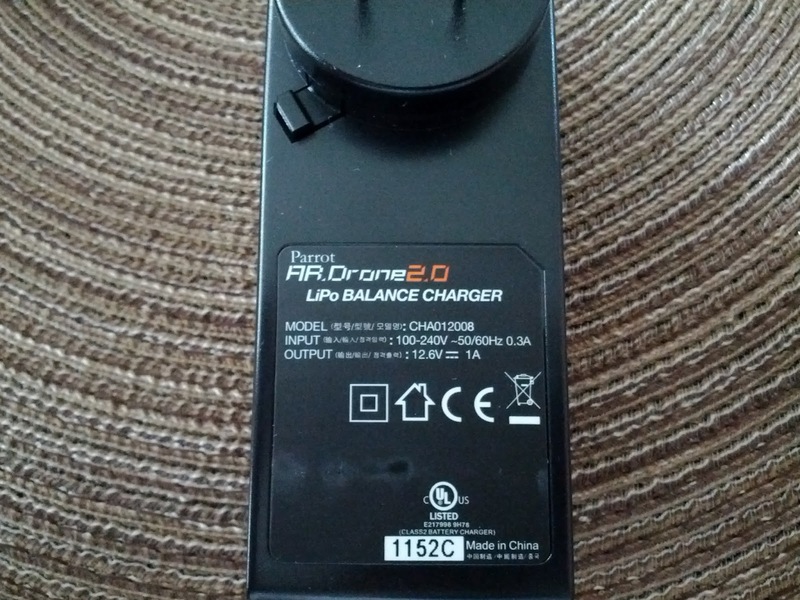 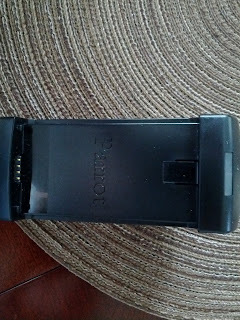 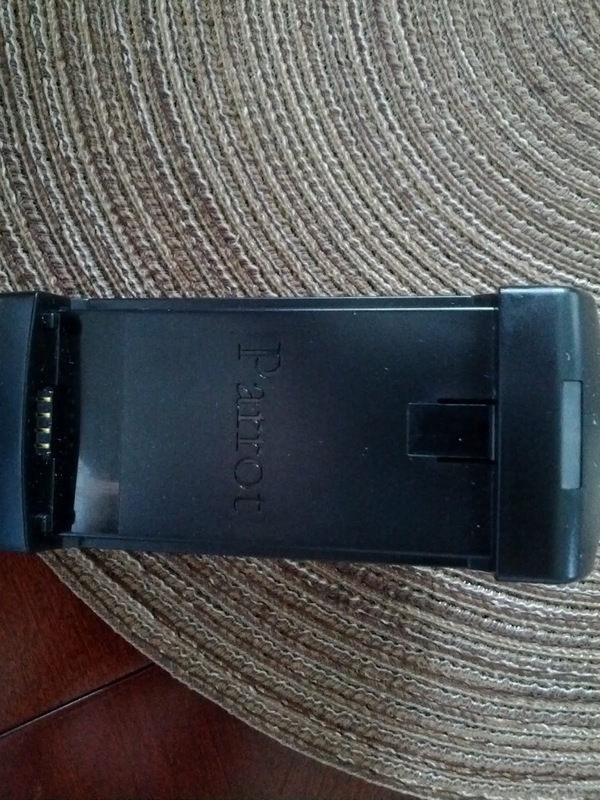 I am planning to get a replacement battery and an additional charger before I got the ar.drone2. 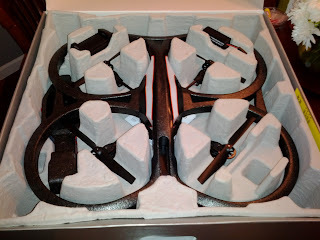 I have seen http://www.amazon.com/gp/product/B004WPITUC and http://www.amazon.com/gp/product/B004WPITVQ. 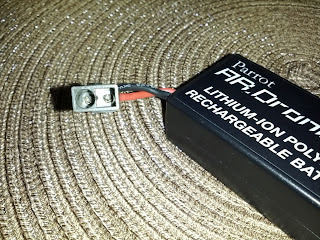 Jack, according to the documentation the batteries are interchangeable between ar.drone 1 and ar.drone 2 but the chargers are not. 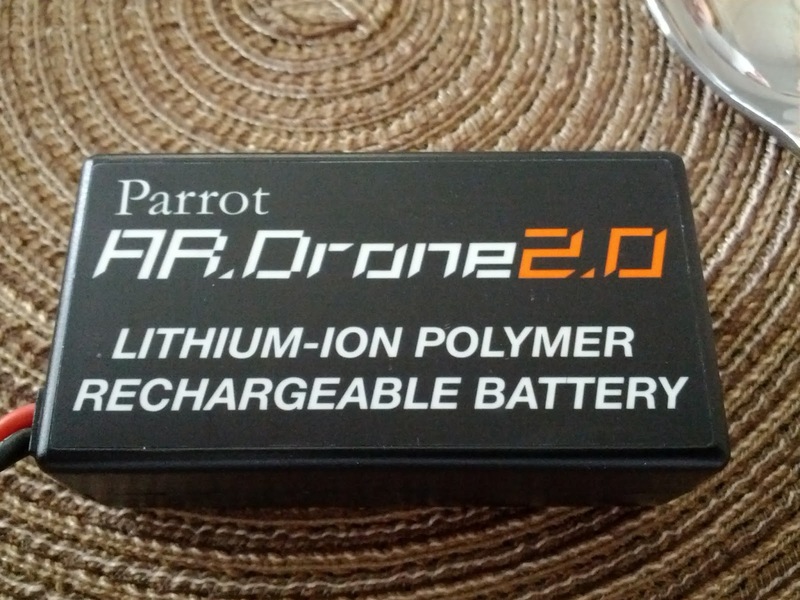 So you could buy ar.drone 1 batteries and use them in your new ar.drone 2 and keep your ar.drone 1 charger. 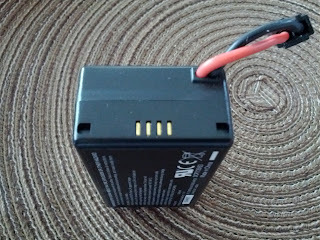 I will post some more pictures of the battery and charger close up tonight. 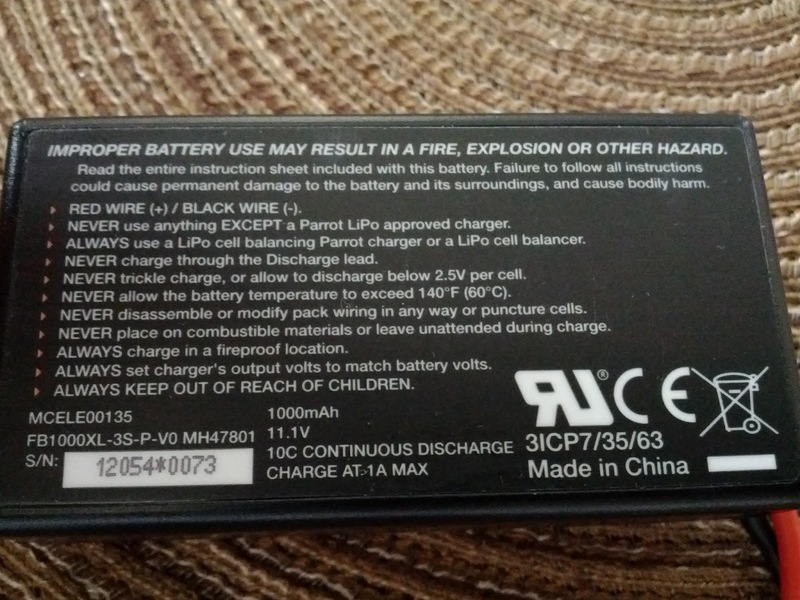 Added those additional photos that show the battery and charger specs. 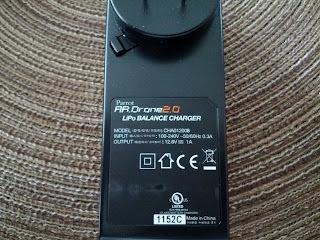 It was so helpful because I was curious if the new charger use more than 1A. 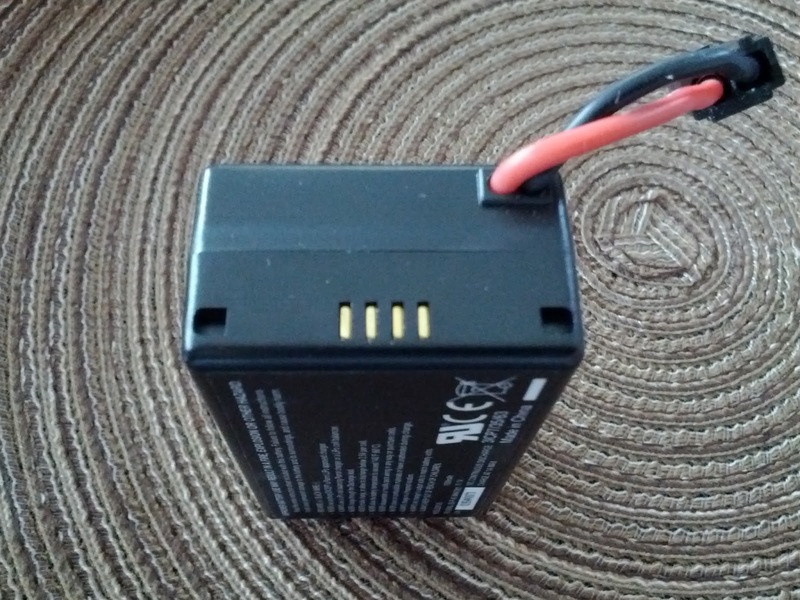 I was thinking that the new battery would support more than 1A as other LiPo batteries. 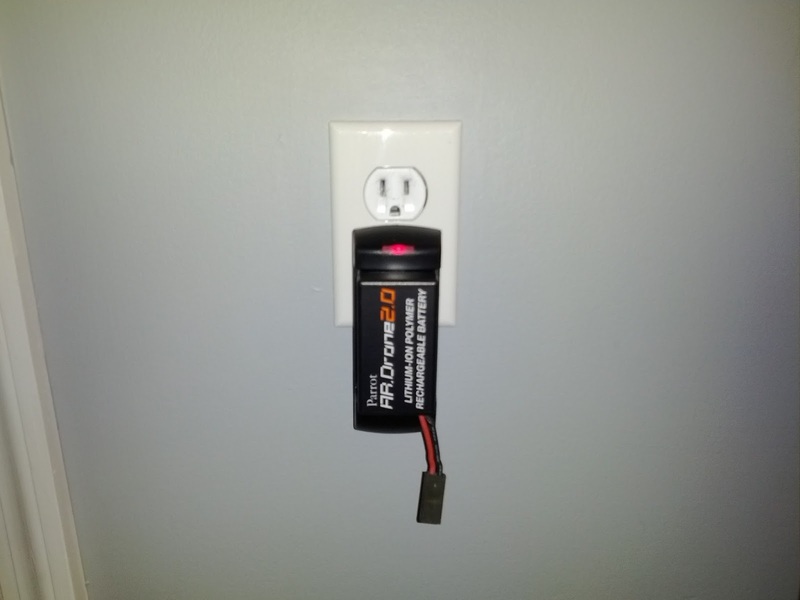 But it said "Charge at 1A max"(picture you uploaded), so the new charge2.0 seems technically equal to charge1.0. So the difference seems more about charge form. Thank you so much.